The following text originally appeared in 1971 in Panel No. 1, a magazine co-produced by me, Wolfgang J. Fuchs, and Reinhold Reitberger. It was a follow-up to our book Comics – Anatomy of a Mass Medium. Panel was a squarebound softcover magazine/book and, as a quality fanzine, the first of its kind in Germany. Alas, this was the only issue produced, as Reinhold and I did not continue the magazine because of a disagreement over editorial concepts. As you will see, we featured Giolitti art on the cover and had an article about Giolitti's career, including an interview with Alberto and his wife Joan. To my knowledge this was the first time ever that an article about Alberto was published anywhere, not to mention the fact that the article was based in part on an interview. I'm reasonably sure the interview was conducted in Munich, Germany, and that, as a consequence of what Alberto had said afterwards about the dearth of material he had gotten to base his Star Trek art on. I knew that the models were available at a wholesalers in Munich. So, after Alberto had left, I bought two models of the Enterprise and shipped them to Rome. While the information about Alberto's career is still valid, the information about what happened in 1971 and beyond is, of course, dated. For example, Alberto stated that he usually worked alone but had employed Giovanni Ticci as an assistant and gave his reasons for not normally using assistants. However, because oft he work load involved with all the various publishers he and his studio worked for, he later on departed from this idea and used both pencillers whose work he inked and inkers who inked his pencils. So, please, bear in mind that this is a text that was written almost 40 years ago, and therefore cannot tell you anything that has happened since. Nevertheless it still makes interesting reading to find out some things about Alberto Giolitti that, in 1971, only the people who bought Panel No.1 had a chance to read about in Germany. 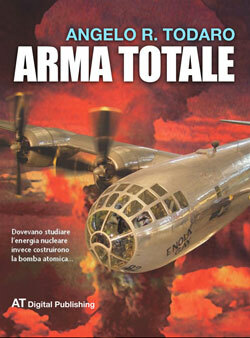 The article was followed by a page for which we interviewed Giovanni Ticci by mail. Also, we included in the magazine (translated and lettered in German by me) the complete story of The Fiery Furnaces as drawn by Alberto for Tiger and Hurricane for publication in 1966. So, there you have it. Think back a few decades and get ready to find out some facts about Alberto Giolitti! You will find the original pages of the article as jpgs with a sprinkling of original and comic book illustrations. The translation for the captions which correspond to the illustrations can be found at the end of the text. Incidentally, the text is copyrighted and should not be reprinted without permission. This series of portraits begins in PANEL with Alberto Giolitti for a very good reason. He is not only one of the best and most successful comic book artists but also the head of a studio with an international clientele. Thus, his portrait gives some interesting insights into the production of comics in America and in Europe. Studio Giolitti also produces comics especially for German publishers like Bastei, Kauka and Moewig. Alberto Giolitti created the artwork for series like Gunsmoke, Turok Son of Stone, Have Gun Will Travel and Star Trek – which are known to German readers thanks to Bildschriften Verlag and Neuer Tessloff Verlag. Also his studio works for Perry, Lasso and Buffalo Bill. Giolitti almost never signed the work he did for American comic books. For almost two decades he worked in absolute anonymity. His public only knew him as "the good artist" of realistic comics much like Carl Barks, the genius behind Donald Duck and Uncle Scrooge, who only now starts getting the attention of the public he so fully deserves. Born November 14, 1923, in Rome, Alberto Giolitti was supposed to follow in the footsteps of his parents and to take over the family business one day. That is why he was sent to business school although he would have preferred becoming a pilot. In his leisure time he liked drawing from photos but never considered himself as especially talented. He did not even dream of one day earning his living as an artist. When Alberto was 14, a journalist and friend of the family saw Alberto's drawings and asked him if he didn't want to illustrate one page of a story for Il Vittorioso. He took the page along and the editors asked Alberto to complete the story. The only thing he still remembers about the story is that it was some kind of adventure story. Even Leonardo Becciu's book Il fumetto in Italia (published in Florence in 1971) contains no information about it. Alberto Giolitti says about this first success: "When I realized that someone was willing to pay for my drawings, I gave up business school – much to the joy of my teachers – and went tot he academy of arts". Giolitti continued working for Vittorioso. During the first semester of studying architecture at the University of Rome he was inducted into the army. After the war he picked up his studies and continued working for Vittorioso. Although he also designed scenes for movies and painted movie posters, his main interest was focused on comics. He intended to go to the United States in order to perfect his drawing style and one day work for King Features Syndicate. With a traveler's visa to Venezuela he he continued on into the States where he stayed for the month's stay permitted by the visa which, however, did not allow him to work there. So by various detours he finally arrived in Buenos Aires where he worked for Editorial Lainez and Columba Hermanos from 1946 to 1949. The years in Buenos Aires were pleasant and, from an artistic and professional viewpoint, satisfying. However, he was still intending to go to the United States. Right upon his arrival in Argentina he applied for a permit of residence for the States which he ultimately got in 1949. He felt he would only be content if he could start working for King Features. Hence, when Alberto Giolitti arrived in New York in June of 1949, he immediately went to the offices of King Features showing them his portfolio. The editors were so impressed that they gave Giolitti a retainer of $ 100 per week, asking him to develop a comic series. As his English was not very good at the time, Giolitti asked a friend, who had just graduated from journalist school at the University of Michigan, to cooperate on creating a comic strip. These efforts did not come to fruition, probably because neither Giolitti's friend, a native Russian who had grown up in Italy, nor Giolitti himself knew anything about the taste and mentality American readers had at the time. But that knowledge would have been exactly what would have been necessary for a strip that was up to King Feature standards. So, King Features asked Giolitt if he did not want to draw the Roy Rogers comic strip. Giolitti comments on this with: "It was too stupid of me that I did not accept because I was sure that sooner or later I would create my own character". King features stopped paying him and soon funds ran low for Giolitti. At this time he considered the possibility of earning money by doing comic books, while still trying to work out a series of his own. At this time he also met Joan, his wife-to-be, who suggested that she show around his artwork. This led to his working on Indian Chief, the first comic book series he drew for Western Publishing Company, the comics of which at the time were sold under the Dell imprint. Joan Giolitti still remembers vividly her first visit to Western Publishing: «Nothing in my life had prepared me for the role of artist's agent and I had to walk around the block several times and imbibe many cups of coffee before I found the courage to enter the editorial offices. I had almost waited too long, as it was getting close to the end of office hours. The art director's secretary was not too happy about my coming, until she saw Alberto's drawings. She immediately changed her entire attitude towards me and a few minutes later I was ushered into the office of Oscar Lebeck, the then art director of Western. Alberto's artwork was considered to be wonderful. The only criticism George Brennen offered was that Alberto should stop using Jungle Jim as the model for his heroes. I explained that Alberto did not copy from anybody, but instead used himself as a model for his drawings. The similarity therefore could have been caused by the fact that he and Jungle Jim were lookalikes. And in fact, when Alberto came to the Western offices for the first time, a few days later, George's immediate comment was: "Oh, my god, you're absolutely right! He really does look like Jungle Jim!"». The work for Indian Chief was followed at Western Publishing by comic book series of Tonto, Sergeant Preston, Gunsmoke, Tales of Wells Fargo and Have Gun Will Travel. He also drew several issues of Zorro, The Cisco Kid, Jungle Jim and Tarzan, but also one shots like Alexander the Great, The Christmas Story, Aladdin and the Wonderlamp and Gulliver's Travels. For Gulliver's Travels Alberto Giolitti received the Thomas Alva Edison Award for the best children's (book) illustrations for 1955 (for children aged 8 and up). He also drew the comic adaptation of Abraham Lincoln for which his artwork had to be approved by Carl Sandburg on whose novel The Life of Abraham Lincoln the comic book was based. For all of these books Alberto Giolitti paid highest attention to detail. For this reason – from 1951 to 1953 – the Giolittis lived in Lake Placid in the Adirondack Mountains in order to be close to Jacques Suzanne, a well known breeder of huskies who also had intimate knowledge of life in the north. Kimo, Giolitti's husky, bred by Jacques Suzanne, served as model for Sergeant Preston's husky King. After a one year's stay in Rome the Giolittis lived in Florida from 1954 to 1960 where Alberto Giolitti learned to ride with a cowboy saddle in order to heighten the authenticity of his western comics. It always came as a surprise to people when they learned that the artist of Gunsmoke was an Italian living in Florida in a little town by the sea. What stupefied people even more was the fact that Alberto always dressed according to the latest Italian fashion. During this time – and for many years after – Alberto Giolitti was known to comic readers on both sides oft he Atlantic as "the good artist" of the Dell adventure comics. In 1960 Giolitti returned to Rome and was commissioned to do the American (!) comic books Turok Son of Stone, later on Voyage to the Bottom oft he Sea and ultimately Star Trek. When their three year old daughter got a little brother in 1961, and the Giolitti household also grew by several pets, their return to the States was delayed. Finally, when the Studio Giolitti was founded through a coincidence and started to grow and to grow, the Giolittis stayed in Rome indefinitely. As Alberto Giolitti has drawn comics for American and European publishers as well and his wife has remained his agent ever since that fateful visit to Western Publishing, it might do well to put some specific questions about American and European comics to the Giolittis. First we asked for a comparison of American and European comics. Alberto Giolitti: One might fill a complete book comparing American and European comics. I can only try to skim over the most obvious differences. For this comparison let me pick out as an example British comics as they have the longest tradition. To my experience comics and their composition are entirely different. English comics use a row of illustrations which, besides the usual captions, have lots of text explaining the action. In American comics, however, the drawings themselves are supposed to show the action so that little or no explanation is needed. In American comics I feel very close to the protagonists of the story. Because of the use of the dialogue and of close-ups, one gets a chance to get to know the protagonists. An American comic basically is the story of one or more heroes in different situations while English comics present a story which involves many characters. That is true especially of the weeklies and comic books but does not necessarily apply to English daily comic strips. In the rest of Europe one usually tries to follow the American concept, but not always successfully. In Italy there are many outstanding artists. Unfortunately some Italian artists are more interested in creating beautiful drawings and less in telling stories. The result is that you may have a phantastically looking page, which overlooks the main reason for comic artwork: namely to tell a story! Panel: Does it worry you that you are one of the artists many others copy. Alberto Giolitti: No, not at all. Actually, I even find it flattering. I only hate it when I'm not copied well. Panel: Could you please tell us something about your studio, your assistants and the publishers your studio is working for? Alberto Giolitti: My work is completely separated from what is known as "the studio". I usually work all alone without assistants. The pencilling and inking is all my own. For me it is extremely difficult and not worth the time and effort to use a penciller as an assistant. Giovanni Ticci was my only assistant. He drew the backgrounds I drew the main characters. We worked well and happily together, but he became to good an artist to be anybody's assistant. Joan Giolitti: Alberto has a huge archive of reference material and I'm always afraid that, one day, he will bury us all under it. He also has a relatively large collection of western stuff from America: Guns, gunbelts, saddles, Indian artefacts which he also uses to document his work. In the United States during the Sergeant Preston period we lived surrounded by sleds, harnesses, fur parkas. And every time we moved the weight of Alberto's collection seemed to have doubled. The "Studio" or Studio Giolitti is a hybrid of an agency representing freelancers, a place where reprints are furnished, and production services for all phases of the production of comics and children's books are provided to publishers. The "Studio" delivers artwork to the USA, Great Britain, Germany and Italy. Currently we are producing such typically American stuff like Bugs Bunny, Daffy Duck, Porky Pig etc. for Western. Comic strips for weekly boys' and girls' magazines go to I.P.C. in Great Britain. Jackie and the Wild Boys in Princess Tina is one of our strips. Flame of the Forest in Lion and Enchanted Isle in Tammy have also been produced by us. We also produced color work for Treasure, Tell Me Why, Once Upon a Time and Baby's Own. To Germany we currently send the artwork for Moewig Verlag's (sci-fi series) Perry. The new concept for the series was created in our studio and produced there ever since. We also do the Reno stories for Bastei (We are not too happy with that series but we have to fulfil the editors' wishes). The "Studio" also produces some nice fairy tales and adaptations of novels for Bastei. As you probably know, we are currently preparing to work for Kauka. Also, in Italy, we are now beginning to start work for Spada in black and white and in color. Alberto acts as art director, but at times finds this job frustrating, as his tastes, opinions and wishes sometimes are extremely different from what the editors want and expect. Panel: Your artwork does not show any relation to that of other comic artists. What comic artists influenced you or did you try to learn from? Alberto Giolitti: In my style I always tried to follow in the footsteps of Alex Raymond and Hal Foster whom I have always admired, but then, of course, I felt an urge to develop a style of my own. Panel: What are your preferred utensils for drawing (pencil, pen, brush)? To what degree do you use reference material, for example with comics based on television series like Gunsmoke and Star Trek? Alberto Giolitti: I work out all the details in pencil very meticulously before I start working with pens or brushes. Whether I use pens or brushes depends upon my moods or the kind of work at hand. As reference material for tv comics I use only what I need for likenesses of the characters or the background. One of the reasons why I like Turok is, that I don't have to follow any special direction and that it is not a tv show. Panel: In closing, a question about the Fiery Furnaces which we will reprint in this issue of Panel. Did you draw the Fiery Furnaces by yourself or with an assistant. Who wrote the story? And did you make use of your experiences in South America? Alberto Giolitti: Fiery Furnaces was entirely my own work. I'm sorry, but I do not know who wrote the story. To be quite honest, I did not like my work here too much and I was sorry the story did not go on. Fiery Furnaces had nothing to do with my South American experiences. I got the manuscript and worked it out accordingly. "Bastei Verlag is not the only company ordering artwork from foreign studios. For whatever reason, mainly the romanic countries seem to have a larger reservoir of artists interested in doing comics than there are in Germany. In order to fulfil the quantitative requirements of our production, Bastei Verlag is always on the lookout for talent. That is how we arrived at the well known name of Giolitti. Studio Giolitti produces artwork based on mauscripts exclusively written here with editors of long running series like Lasso also sending along thumbnails and a layout for individual pages. So, basically, the manuscript is a complete script with storyboard. With other work like our novel adaptions for Berühmte Geschichten (Famous Stories) our manuscripts give the artist more artistic freedom to compose the pages on his own. In these instances Studio Giolitti produces extensive model drawings (of characters, dress, movement, etc.) for editorial approvement prior to starting on the books. Very often production of a comic book is linked to production of a book cover. To give the artist an idea what the editors want, a detailed description with sketches is forwarded to the artist. Our partner in our deals usually is Mrs. Joan Giolitti, a charming American, who currently holds the organisatorial reins of the Studio in hand". Page 4 top: Current portrait of a character for a comic with very strong use of black spaces. © Alberto Giolitti. Page 4 bottom: Indians: character studies which underline Giolitti's fame as western artist. © Alberto Giolitti. 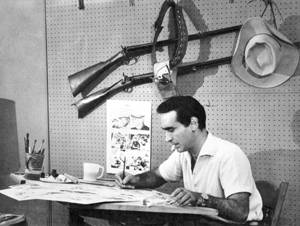 Page 5: Giolitti around 1960, in his Florida studio, working on an issue of Have Gun Will Travel. Page 6 (caption for page 7): Studies from 1958 which were made to lend authenticity to comics. © Alberto Giolitti. Page 8 (top): Characteristic for Giolitti's comics are 3-D effects and movie-like perspectives which may stem from the period when he worked for Roman movie studios. From: Tales of Wells Fargo o.s. 1023, Aug.-Oct. 1959, © 1959 by Overland Productions, Inc./Western Publishing Co. Page 8 (bottom): In Giolitti's western comics one could also find the occasional violence which spilled over from the original tv series. From: Tales of Wells Fargo o.s. 1023, Aug.-Oct. 1959, © 1959 by Overland Productions, Inc./Western Publishing Co. Entire text and illustrations (unless noted otherwise): © 1971, 2010 by Wolfgang J. Fuchs. All rights reserved. Giovanni Ticci, born April 20, 1940, is a good example of how to get ahead as an artist in the comics business. He started out working for a year in Milano in the Studio "Creazioni D'Ami" where he learned the basic tool of the trade of a comic artist. After that he teamed up in 1958 with Franco Bignotti to draw "Un ragazzo nel Far West" for Edizioni Araldo. In 1960 he started working for Alberto Giolitti. He assisted him on Turok Son of Stone and took over Voyage to the Bottom of the Sea in 1963. 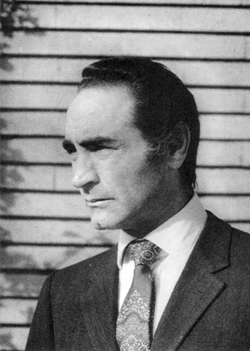 In 1966 Ticci started working on his own and devoted most of his time to Edizioni Araldo's Tex. Occasionally he is also doing short comic stories for Gold Key [like the comic taking place at the Palio he did for Twilight Zone]. As Alberto Giolitti mentioned, Ticci has become to good an artist to be anybody's assistant. WJF: What kind of art courses did you take? Ticci: I never went to an academy of art. I got my art instruction from Rinaldo D'Ami during the one year I spent at his studio in Milano. WJF: What other artists (besides Giolitti) influenced you? Ticci: Among the artists I liked best and who probably – at first – influenced my work I would like to mention Alex Toth besides Alberto Giolitti. He still is one of my favourites, together with Dan Spiegle and "il bravissimo" Dino Battaglia. WJF: Didn't Giolitti influence your style as early as 1958? There are some stylistic similarities to be found in "Un ragazzo nel Far West". Did you hope to work with him one day? Ticci: When I drew "Un ragazzo nel Far West" my style was somewhat influenced by Giolitti, but I never thought of working with him. Our collaboration did not begin until his return to Italy. In 1960 made me an offer to work with him, which I accepted while continuing to work on "Un ragazzo nel Far West". WJF: What is your opinion of Italian western comics as compared to American ones? Are there parallels to the Italo western movies? Ticci: I think that American western comics are simpler, reduced to the good guy, the bad guy and the horse, just as in the old western movies. That is due to the stories being much shorter. Every story is concluded within one book. In Italy, however, as can be seen with Tex, the stories are are much more complex and spiked with more intricate schemes. – I can barely see any parallels between the Italo western and the comics. – I agree with Americans who call them "spaghetti westerns". They have little to do with the real west. They are full of funny costumes and of a violence bordering on the ridiculous. I know that the picture of the west as presented in Hollywood movies often gives us a wrong impression but, how shall I put it, those films have a special flair and, what is most important, they give you a feeling of the wide open spaces and of the big sky, something European westerns rarely evoke. WJF: What materials are you working with and how long does it take you to draw a page, say, for Western Publishing? Ticci: I like drawing with pencil just as much as I like to ink. For the inking, as you can see, I use both pens and brushes. The brush gives a softer stroke while the pen is both more graphic and faster to work with. I work about six to seven hours on a page. WJF: Are you reading or following comic strip or books? Ticci: I don't collect comic strips anymore. I did that earlier on. I still remember "Johnny Hazard" by Frank Robbins and "Rip Kirby".